Farm to School is a movement that strives to build a youth’s connection to healthy, local food through school gardening, farm field trips, hands-on cooking and nutrition and local sourcing of fresh fruits and vegetables to school cafeterias. Browse the categories below for more information, examples of programs and ways to get started in your community! Getting Started: Find out how to build a school garden, have a cafeteria taste-test and more! Connecting kids to good food has no age limit! 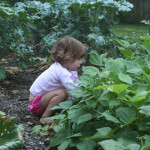 School Gardens: What grows best in a school garden? When should you plant? How do you sustain school garden spaces? Find additional resources to support your efforts. Farm to Cafeteria: North Carolina has a unique landscape for sourcing local and regional fruits and vegetables in schools. With required GAP’s and challenging price points, it can be a rocky road to navigate. Read the stories and successes that programs and organizations throughout the states have been working on. Garden-enhanced Nutrition Education: Youth that participate in nutrition education that is hands-on and uses fruits and vegetables grown in the school garden are more willing to try and taste new foods. Read about strategies, recipes and programs that have kids sampling radishes, sauteeing kohlrabi and munching on beet greens! Farm to School Programs: Gather inspiration, models and ideas from these programs actively leading Farm to School initiatives. 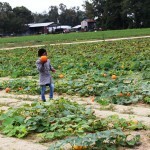 Farm to School Coalition of North Carolina: With recent USDA Farm to School funding, a group of state government agencies and non-profit organizations have come together to plan a statewide coalition to nurture Farm to School throughout North Carolina. To join the conversation, sign-up for the listserv with katie.rainwater@foodcorps.org and for more information contact F2SCNC co-chair, Heather Barnes, heather.barnes@ncagr.gov. FoodCorps: FoodCorps North Carolina is co-hosted by North Carolina 4-H and the Center for Environmental Farming Systems (CEFS). Through the hands and minds of emerging leaders, FoodCorps strives to give all youth an enduring relationship with healthy food. FoodCorps, a national non-profit supports state efforts to grow grassroots Farm to School programs. Grow For It – North Carolina Cooperative Extension’s 4-H Youth program in Crop Science, Entomology, Horticulture, and Soil Science. This program supports county extension efforts to connect youth to agriculture by offering curriculum, training workshops and statewide youth programs. Discover Ag: A program with NC A&T State University that teaches young people about each aspect of agriculture and how it impacts their daily life. Discover Ag is offered as a farm field trip program at NC A&T’s University Farm in Greensboro, as well as at Cherry Research Farm through CEFS. Growing Minds: A leader in building the North Carolina Farm to School movement, ASAP provides a rich array of best practices and materials to support programming efforts. National Farm to School Network: The National Farm to School Network supports the work of local farm to school programs all over the country by providing free training and technical assistance, information services, networking, and support for policy, media and marketing activities. USDA Food and Nutrition Services’ Farm to School Program: The USDA FNS Farm to School program provides state by state data on F2S programs, a grants program, as well as technical training and resources for local food purchasing, and other F2S activities. Vermont FEED – is a Farm to School partnership between Northeast Organic Farming Association of Vermont (NOFA-VT) and Shelburne Farms. This Guide for Farm to School Community Action Planning is a primer on organizing a school committee to develop a farm to school program.